I find myself taking a lot of pictures of rooftops. One, because when we're doing a group tour, everyone in the group is in the photo if I pull back to get the whole thing, and two, there are a lot of interesting spires and onion domes and tiles and colors and textures. 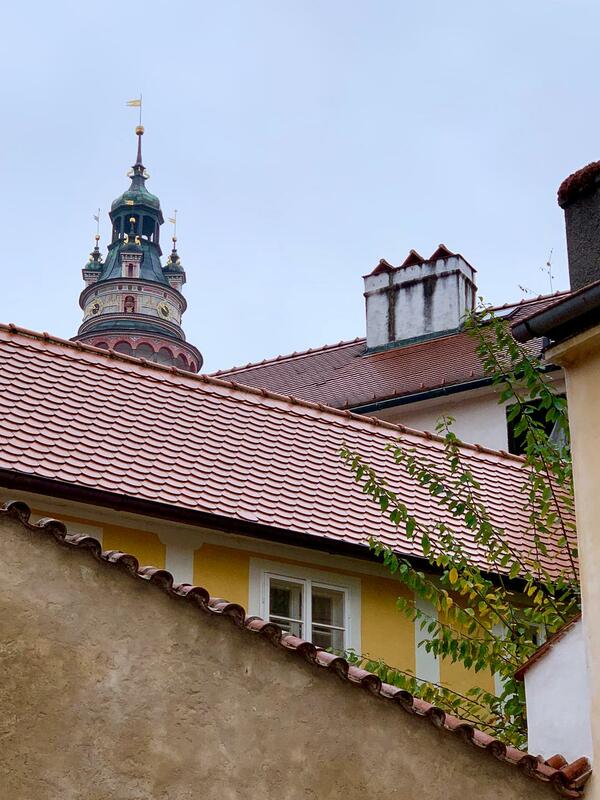 This photo shows rooftops in Český Krumlov. You can see the colorful castle tower in the background.